Car Racing Games, Free Driving Games, BMX Bike games, Dirtbikes, Drag Racing, Drifting, Rally Races. Successfully drive 100 miles in the fewest number of days. Unlock achievements and upgrade the truck. Safely transport a convoy of three weaponized vehicles across the desert landscape. Mad Max driving game. Race against 20 other super bikes in this 3D motorcycle racing game. Earn cash to buy upgrades. Includes 8 tracks. Master advanced driving techniques to successfully drift around winding tracks. Arcade and time trial mode. Earn an excellent safety record by navigating the 18 wheeler down the highway. Pick up gas and food. Pick up weapons and destroy your opponent in this driving shooting demolition derby game. 8 different cars. Outrun the cops by making it to the escape point within a certain time limit. Unlock new cars and race on 3D tracks. Race against computer controlled monster trucks while hitting jumps for extra points in this excellent 3D racing game. Race familiar characters in shopping carts on four different 3D tracks. Career mode, single race, time trials. Destroy the forest and all its creatures with your monster truck. Unlock new trucks as you complete more levels. Earn money by shooting dinosaurs and delivering eggs. Wait for the eggs to come down the conveyer belt. Jump to different vehicles to get ahead faster or to avoid bursting into flames. Be careful not to miss and hit the road. Race around the track collecting weapons and powerups to destroy your opponents. Online multiplayer. Battle car racing with nicely rendered 3D backgrounds, cool weapons, and four different cars to choose from. Ride your BMX through the icy cold landscape collecting bubbles while avoiding spikes and other obstacles. Drive your car around the city saving people from the flesh hungry zombies..Earn money and Upgrade your vehicle. Start off with a basic truck and drive it off a ramp into a landscape filled with bombs, signs, and coins. Race against the computer while collecting stars, smashing obstacles, and sliding around corners. King of Drift has to be hands down one of the best Flash racing games ever made. Direct air traffic into and out of the airport by signaling the airplanes to land, fly around, taxi the runway, or take off. Navigate the broken city landscape in a futuristic police car while crushing cars, trucks and unsuspecting pedestrians. Avoid accidents by directing traffic through the intersection safely. If two oncoming vehicles collide the game is over. Help Santa Claus collect the presents by dirt biking through the north pole in the festive flash game. Once again the crow is stuck in hell and must get out. Avoid traps and winding tunnels. Your job is to keep the ride safe for the passengers while making the experience as exciting as possible! Race against computer opponents in this amasing drag racing game. Perform combinations of tricks to compete for hi-scores in this BMX bike game. Fun game where the goal is to safely organize traffic by controlling the action of pedestrians and cars. Keep up with the computer controlled off road trucks by purchasing new vehicles and upgrades. Collect stars. Beat all the other hot rods and earn money to customize your car. Place at least fourth in each race. Kill zombies, Traverse the desert, and get to your escape helicopter. Buy a vehicle and drive it as far as you can. Drive the highway through the desolated city while avoiding obstacles and running over the walking dead. Win races, get sponsored, and upgrade your car to become the champion on all 8 different tracks in this fun RC game. Monster Truck Destroyer is a fun obstacle driving game where you take control and crush everything in your path. 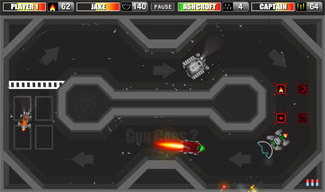 Drive around an arena running over and shooting enemies to complete each round. Earn money to buy upgrades. Safely guide a certain number of cars through the intersection while avoiding accidents to pass each level. Third installment of the Crow In Hell series. Navigate the crow through the tunnel by avoiding walls and other obstacles. Race against computer opponents on a wide range of tracks. Earn money by winning races to upgrade your car. A great Flash racing game which looks a bit like the original Cruizin' USA arcade game. Nice 3D labyrinth type game where the player must roll the ball through an obstacle course while not falling off the edge. Race around a track collecting weapons while competing against players from around the world. Flash multiplayer game. Follow the map to the buildings marked with a green colour and destroy them with your car stereo. Shot by a farmer off a perch down into a deep well. Are you alive or dead? Can you find your way out of this well? The recreation of the Sega classic features four tracks with each track having five checkpoints. See how many points you can score in 2 minutes by performing tricks such as jumping, flipping and spinning. The object of this game is to control the flying missile down the hallway of spinning obstacles. Use your plow to move all of the snow into the marked green zone to complete each level. Avoid hitting cars. Point of the game is to destroy or knock off as many cars from the road while scoring points. Upgrade your car and race on a variety of tracks against computer controlled opponents.